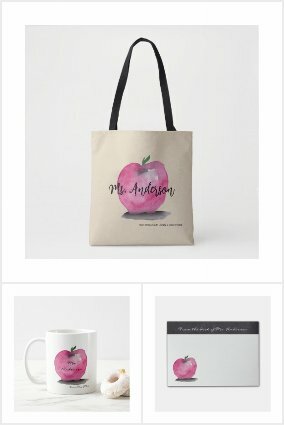 As previously mentioned, the Zazzle Market Place is truly marvelous! There is a wide variety of products and a gigantic variety of designers out there creating products you can customize! I’ve spent plenty of time researching the market place and along the way, I’ve found out there are store’s that have charming products and have to be shared as a gift guide! 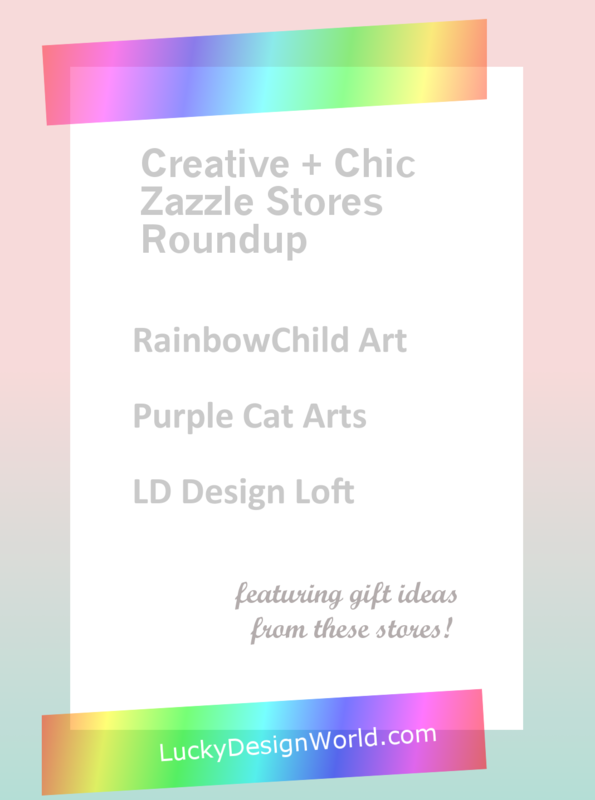 RainbowChild_Art is a store that features designs of artwork patterns! A nice selection of paintings that are abstract and some that are landscapes. It’s a store to visit often since it’s updated with new items that are lively and bright creations! 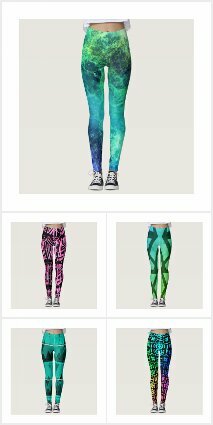 The first design showcase is a fun rainbow psychedelic pattern leggings! Every inch of this design is so intricate, in some ways like stained glass, and it would be a cool addition to yoga gear! Wouldn’t this make a great gift for a friend that you know likes yoga or leggings? 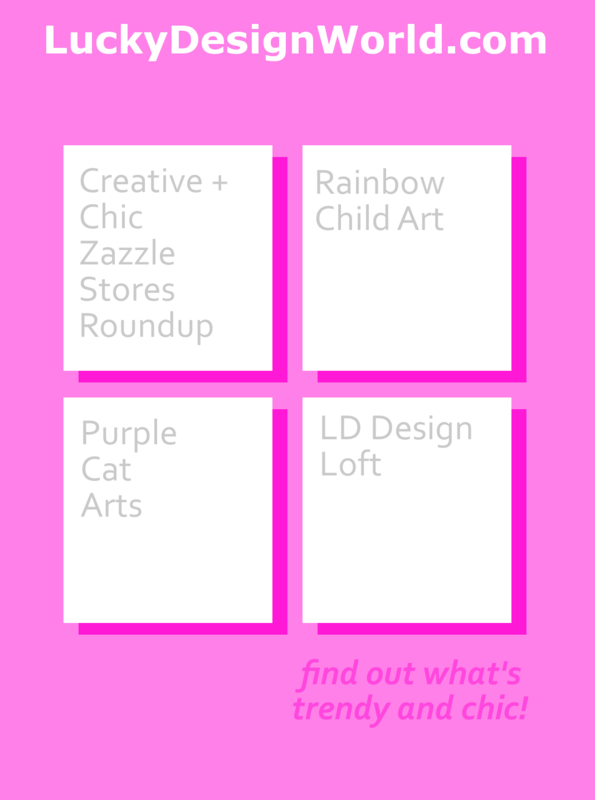 More designs with abstract rainbow patterns can be found in this collection. It has a beautiful range of blue tones. Which are cool and funky and the best part they’re all flattering! The next design is pink! A popular color featured several times already in previous issues! This design is of the sky and clouds but rather than be blue, it’s in tones of pink! Nice warm pastel pinks, magenta and white all blend together in a continued abstract artist theme! This pillow would be a perfect gift for anyone you know who likes pink and comfy things! A nice housewarming gift too! This next design is for an iPhone! It’s another pink shade, but this one is hot pink! It’s design looks like a metal, like steel, so it’s tough and cute at the same time! The monogram is a in a cursive typography, which makes it elegant! It’d be a great gift for someone who loves pink and is confident! Purple Cat Arts has a tag line: “Inspire Your Heart with Art”. All of the art in this store is unique that has categories to help you choose. For instance, some have animal themes, floral themes, holiday themes and landscapes. Most of these are customizable! Which, of course, makes for great gift giving! This first design is a beautiful watercolor poster! It’s of an original painting of daisies in a terra cotta pot. The background is a rich teal color and it makes the daisies be a true focal point. Did you know that daisies are a symbol of cheerfulness and radiance? Wouldn’t this make a wonderful housewarming gift? It would look great as home decor in the kitchen with a little bistro table nearby. This next design is for pet lovers! Rainbow paw prints in a pattern all over a mug! It really is cheerful! Each paw print, in a way, waves “hello” and “good morning”, especially if you use if for your first cup of coffee of the day! This design brings an instant smile and wouldn’t that make a great gift for someone you know who has a dog or a cat, or many pets? This would be great for a birthday or holiday gift too. This next design is a green throw pillow! The combination of polka dots makes it memorable. Along with the monogram and name option would make this a fantastic gift! The monogram is in a blue modern font and it pairs well with the green script font that looks classic to display a name. Wouldn’t this be a great gift for anyone you know who’s going to go to college and needs something cute for a dorm room? This would be one of a kind gift! LD Design Loft is a modern and contemporary store that features pretty designs for apparel and accessories. In addition to that, there are many great options for invitations and stationary, such as weddings, holidays and birthdays. This next option is a water bottle that is of quality. It’s a gift that will last a long time. Perhaps you know someone who loves going to the gym or runs a lot? This would be an excellent and chic gift because it’s text: “dream BIG” is a great motivator as well as being beautiful! Plus, the pink stripes accent is just adorable! Watercolor is truly a delicate art and this next design is an impressive example of a well done watercolor art! It’s an apple! This fruit design is for any teacher in your life that you know and want to show an outward gesture of appreciation! This apple is shining and has nice shadowing and blending in the composition. Do you know any teacher in that you’d like to thank? This mug would make a wonderful addition! There are some more options with this design, if you’d like to have something besides a mug as a gift. For example, there is a tote option, which, of course, would be ideal for storing and carrying books and crafting supplies. Last but not least, is this adorable pin that is a reminder about how important our planet is and how important our actions can be. “earth day, every day” is a nice button to have for anyone who’s participating in Earth Day, but for anyone you know who likes to reduce, reuse, recycle and, upcycle anything and everything they can! This pin would make a great memento for working together as a team for activities that celebrate a healthy planet and healthy choices on Earth Day! What do you think about these designs and products? It’s a preview of the abundance of creativity and product selection available in these stores. Visit them today! Thanks for reading this third edition of Creative and Chic Zazzle Stores Roundup. This concludes the third issue of Zazzle Stores Roundup and I’ve mentioned it before and have to mention it again: It’s been really fun! …Have thought about blogging yourself? If yes, then I’d have to recommend using Siteground because they provide safety along with speed. With brilliant and excellent customer service – they know their stuff and are going to help you along the way! Not to mention, great bargain prices ! Try Siteground today! Previous PostPrevious Customer Appreciation Event!